Popular Posts Archives - What is in Kelvin's Head? It is the long-standing tradition of the Scottish Episcopal Church to dedicate its prayer on St Andrew’s Day to one particular thing. As it happens, it isn’t praying for Scotland though no doubt people have done that on this day for quite a while too. I know this will come as a bit of a surprise to quite a lot of people, but the traditional way in which we pray in this part of the world in this corner of the vineyard on this day is to keep it as a day of Intercession for Missions. I know this because in the course of producing a new Kalendar each year, I’ve had need to look at some of the old Kalendars that were in use. There’s one lying on my desk beside me from the ancient days of 1991, which makes very clear that this is an important intention. If this day could not be kept as a day of Intercession for Missions then another one was to be set aside instead. There are a number of things about this which are interesting. Firstly, it is worth noting that you don’t hear people referring to the Scottish Episcopal Church as The Scottish Church that much these days. The Scottish Episcopal identity seems to have sunk in fairly deeply amongst those who are in the church. We’ve been known as a number of things in the past and it seems to me that the battle for name recognition hasn’t been won yet. I’m afraid that Scottish Episcopal does sound to people more like an insurance company than a church and it doesn’t always help us. However, there’s other things going on here that are worth noticing too. The most important thing to note is the strength of the emphasis on Overseas Mission. 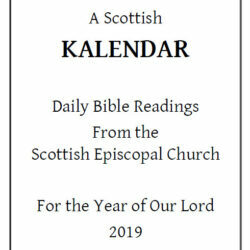 I joined the church around about the time time this particular Kalendar was published. There was clearly no embarrassment then about praying for Overseas Missions. Indeed, it seems that the word Missions implied that. You didn’t really need to say Overseas to make clear what you were talking about. If I’m honest, I can’t remember hearing many prayers for Overseas Missions in recent years. There are certainly people in our church who care about work overseas, but the idea of praying for Overseas Missions will seem to many as a bit of an anachronism. In the time that I’ve been a member of the church, things have changed. Now, we tend to speak much more about Global Partnerships than foreign missions. Mission itself has been co-opted as a term. Hijacked if you like. Mission is now a greatly used word and I’ve scarcely been in any meeting that mattered in the church for years when it has not been mentioned. Apart from some certainty that it almost never means overseas mission, I have to confess that I’m not always sure that I know what people are talking about when they use it. At my most cynical, I have been known to say that mission is the word that people use when they are applying for grants. It is a key to the money chests of the church. I’ve been learning in recent years that it is important to ask people what they mean by mission when they use the word. Mission means converting people who don’t believe into people who do believe. Mission means converting people who don’t attend church into people who do attend church. Mission means serving people in the community. Mission means serving people in the community because that’s a way of attracting people to the church who will want to serve alongside us. Mission means congregational development – helping churches to grow deeper in spirituality. Mission means relieving poverty. (See for example the clear definition of the Scottish Episcopal Church Mission Association who are dedicated to the relief of poverty overseas). Mission means feeding the hungry. Mission means Pioneer Ministry – starting expressions of the Christian faith that won’t look like traditional congregations. Mission means the action of the Whole Total Collaborative Every Member Ministry of the People of God. Mission means something that God does. “The God of the Church has a mission”. Mission means making your church more inviting. It can be very puzzling trying to work out what people are talking about when they talk about mission. Do they mean something we do here or something we go and do there? Do they mean something that we do amongst ourselves or do they mean something that we do to them? I tend to be a little suspicious of mission if it always seems to involve us doing something to them, whoever the us and the them are. As I try to turn my thoughts to reflect on mission this year on St Andrew’s Day, I’m very conscious of an incident that was reported world-wide last week. A young missionary, John Chau set out to evangelise a tribe of people who had little previous contact with outsiders. This escapade led to his death. The Sentinelese people killed him. And it is widely reported that he was putting their own lives at great risk by visiting them, as they would have little immunity to all kinds of diseases that Westerners might take for granted. In almost all the comment that I’ve seen, John Chau has been regarded as a fool. Not simply a naive, good intentioned “fool for Christ” but just a more basic fool who could have brought little good for his actions, no matter that they were done in Christ’s name. It seems to me that John Chau was deeply mistaken in his actions. I wish he hadn’t been killed but I also wish he’d never gone there. It was clear to anyone knowing anything about the island in question that the islanders wanted nothing to do with outsiders. Now, there’s a gospel imperative to take the good news that Christians believe to all the world – Jerusalem, Judea and unto the uttermost parts of the earth. However, there’s another gospel imperative which is to shake the dust off your feet and move on if people don’t want to listen. It was clear before he got there that John Chau was unwelcome. The dust of that island should never have touched his feet and sadly he paid with his life for letting it do so. It is worth pausing for a moment though and remembering that there’s quite a number of people in our Calendar who would have recognised what John Chau was trying to do as something that they were trying to do. We regard them as saints and glorious examples of the faith. The truth is, things have changed in the way we think about mission and changed in a very short length of time indeed. When I joined the church in the early nineties, things were starting to change. Overseas mission was becoming a bit more about serving people and a little bit less about converting people to the one true faith. The truth is though, that with all these different ways of talking about mission floating about, some conversations about mission are very difficult as people talk at cross purposes and simply don’t understand one another. 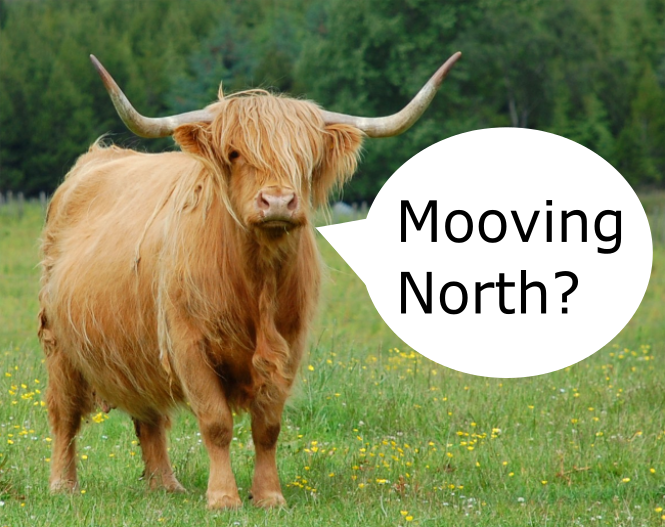 So where are we in the Scottish Episcopal Church right now? I think that when thinking about overseas missions, people are nowadays tending to think about medical missions, the relief of poverty and thinking about fair trading partnerships. I do still meet people who believe God is calling them to serve overseas but it doesn’t tend to be in the manner of John Chau but something altogether more subtle. Here in Scotland, there’s a lot of confusion between those who speak of mission to mean serving others and those who speak of mission to mean helping the church to grow. Both are important and both need separate vocabulary if we are to continue to emphasise the importance of both. There’s no shortage of people to serve. There’s poverty to be alleviated in this country, there’s addiction to be tackled in this country, there’s refugees needing a welcome in this country. I was quite struck by someone working for a charity recently telling me that they’d always thought of religion as being nonsense until he started working in the charitable sector and realised just how important serving the world seemed to be to church people. I was surprised and moved at how simple Christian service had made him look at the whole faith thing in a new light. Developing the church and helping congregations to grow a bit is important too. Here things seem to many people to be very difficult. I am often surprised that in all the meetings I ever go to about mission in the church, I’m never asked why the congregation I’m a part of has doubled in size over the last 12 or 13 years. You’d think people might be interested. The things that have worked here won’t work everywhere but some of them could work in some places and to be honest, helping churches grow a bit isn’t a great mystery. Notwithstanding all that, the context in Scotland is changing before our eyes. It is incredibly difficult to get people who are not religious to take religion seriously and try it out. It does happen but not in terribly large numbers. It is the case, I think that there’s a new interest in spiritual things amongst the hipster generation which simply couldn’t be seen 10 years ago but it still doesn’t often turn into church membership in a way many people would once have understood. What it much more common than people deciding to leap into a religious culture when they’ve not had one before is that people who are disposed to religion in some way change their expression of it. People change churches whether we want them to or not. Part of the culture these days is that people shop around until they find what they are looking for. The change in the place of the Church of Scotland in Scottish society is striking at the moment. Whereas once, just about everyone in Scotland knew and understood what their local C of S parish was, now many would struggle to identify the Church of Scotland at all. Similarly in this part of the world, there are huge changes in the churchgoing of Roman Catholics. It seems to me that churches which want to grow have to have some sensitivity in how they will deal with such seekers. Hopefully, we can develop resources which don’t amount to sheep-stealing so much as very obviously welcoming people to a new home. The Scottish Episcopal Church is experiencing some decline yet still we find ourselves looking in with some shock at what is happening in other denominations. Any church in any denomination that wants to grow needs to be ready to say why people will find joy within that tradition. That means deep joy, not something superficial. Sometimes deep joy means knowing how you’ll be consoled when things are bad, knowing how to find ritual to mourn, knowing how to keep singing Alleluia when all seems lost. And sometimes joy simply means that exuberant cup-running-over feeling that can’t and shouldn’t be put into words. Sometimes you just know the real thing when you encounter it and there’s no mistaking it. Mission for me means sharing a way of life that brings life. Mission means sharing habits that lead to joy. Mission means loving others for no other reason than that love begets love and is the only answer I’ve ever found to all that ails us. It happens to be that the Christian Faith is the best way I’ve found to do that. What we mean by mission has changed beyond all recognition and so many definitions of it exist that I’m not even sure it is worth using the word these days unless we are prepared to quickly qualify what it is we mean by it. So, this year, I did pray for Missions at the altar on this St Andrew’s Day. And quietly inside, I prayed that we’d help one another to understand what we all mean by mission, and by doing so, goad one another on to ever greater acts of love.